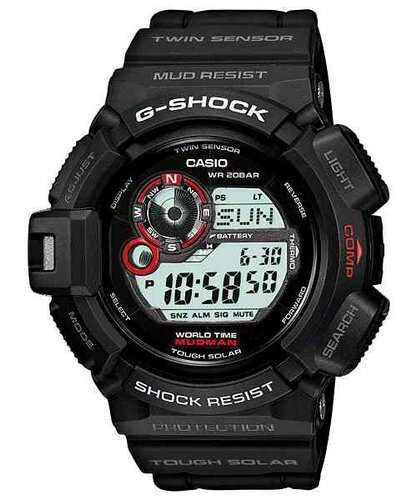 The G-9300 the 1st MUDMAN of its kind to encompass, a compass and a thermometer. Latest models feature tough carbon fibre resin bands and Multi band 6 way global positioning receiver convenient for pilots, rescue divers and soldiers, for e.g. which means no changing your watches time zone. FYI - MUDMAN Compass feature lasts for 30 secs & RANGEMAN Compass feature last for 60 secs.